 Sing along to millions of songs with music and lyrics. 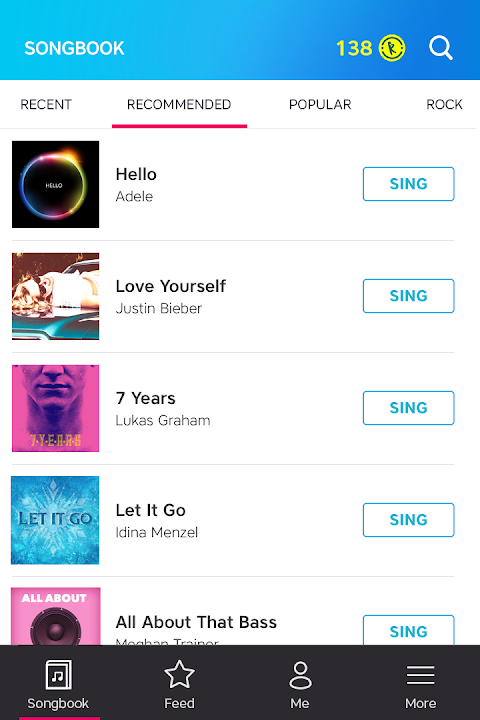 Yokee™ is the #1 karaoke app that let you and your friends sing karaoke for free. 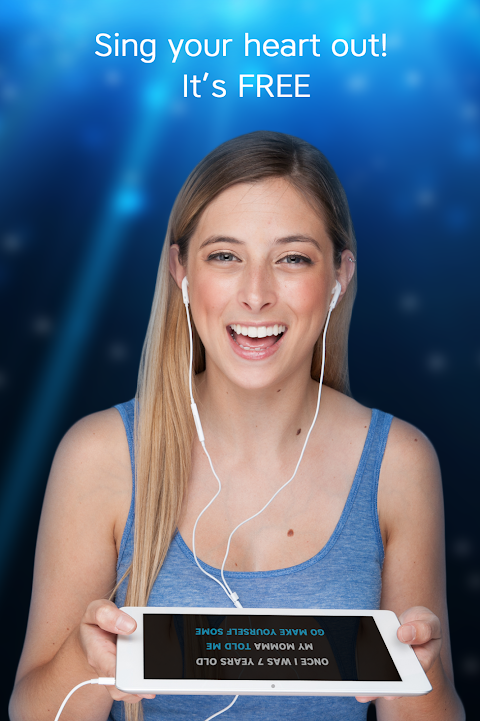 Sing along to millions of karaoke songs, with music and lyrics, use our special audio and video effects and share what you make with our supportive singers community. Join over 100 million Karaoke fans already singing their hearts out on our karaoke app. 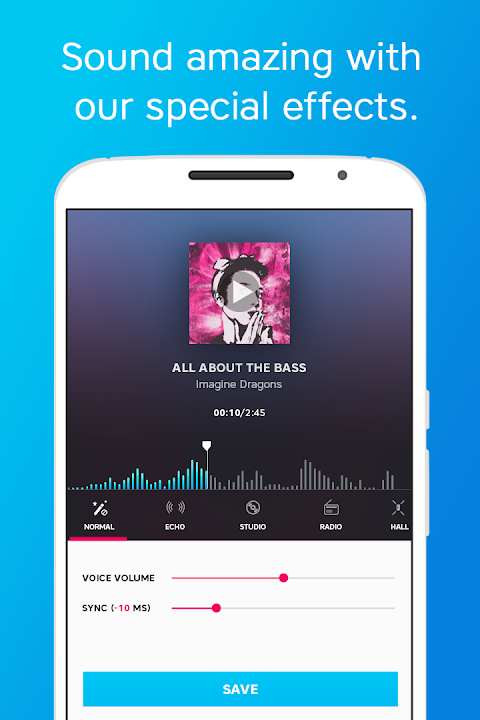 FEATURES ✪ Sing from an endless selection of karaoke songs from a variety of genres and themes, find songs sung by your favorite artists. Plus, sing in any language, anytime anywhere! 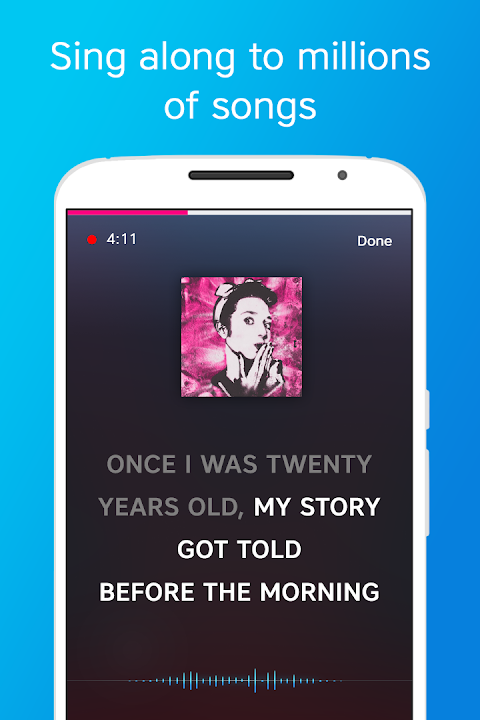 ✪ RECORD: Once you’ve chosen a song, record your vocal track as you sing along to the lyrics, add some of our special voice effects like echo and reverb if you like. New! You can now karaoke with video. 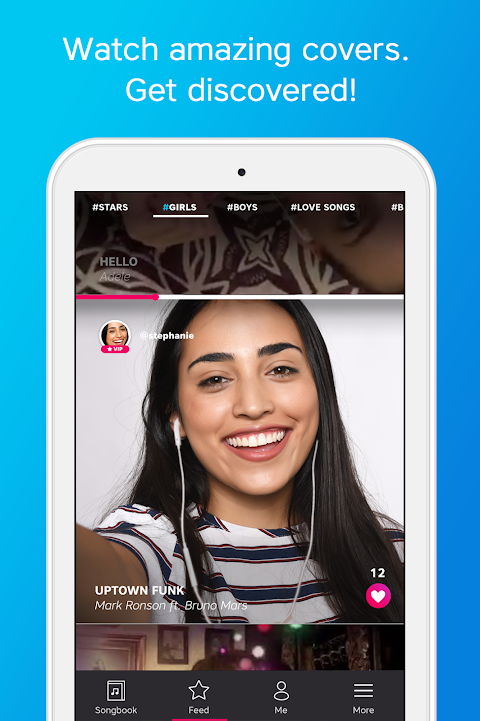 ✪ SHARE your performance with the world, connect with friends, listen to other singers and like their recordings. SING KARAOKE FOR FREE With new songs added daily, you can find almost any of your favorite songs. Choose from a huge catalog of music genres: Pop, R&B, Rock, Rap, Hip-Hop, Country, Latin, French, Russian, JPop and more! Top Trending Songs: ✪ Despacito - Luis Fonsi ✪ Perfect - Ed Sheeran ✪ How far I'll Go - Moana ✪ Hello - Adele ✪ Love Yourself - Justin Bieber ✪ 7 Years - Luke Graham ✪ Let It Go - Idina Menzel ✪ 24K Magic - Bruno Mars ✪ Heathen - Twenty One Pilots ✪ Like I'm Gonna Lose You - Meghan Trainor Best Karaoke Songs of All Times: ✪ Total Eclipse of the Heart - Bonnie Tyler ✪ My Way – Frank Sinatra ✪ Baby One More Time - Britney Spears ✪ I Will Survive - Gloria Gaynor ✪ Losing My Religion – R.E.M. ✪ Single Ladies - Beyonce ✪ Bohemian Rhapsody – Queen ✪ It's a Raining Men - The Weather Girls And we have millions more! SOUND LIKE A SUPERSTAR Not sure you can sing in tune to the music and lyrics? No worries! Yokee karaoke app will auto-enhance your voice with echo and a little reverb to help you sound just like a star on the radio. You may also choose to enhance your voice with our special effects like Stage and Hall. KARAOKE APP FOR YOUR PARTY Our karaoke app allows you to easily arrange karaoke or singing party. 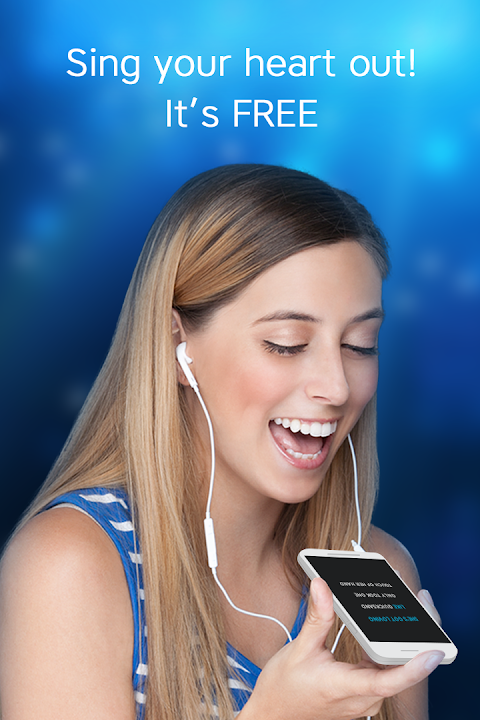 Simply connect your phone to one of the supported external singing devices and start singing karaoke instantaneously. With Yokee™, Karaoke has never been so much Fun. We think it’s better than any other karaoke app, but don’t just take our word for it, download the Yokee™ Karaoke app and see for yourself! Love our karaoke app? Rate us on Google Play. We’re always trying to make Yokee™ better. If you have questions or suggestions, please share them with us! hello@yokee.tv Sing your heart out with Yokee Karaoke App, anytime, anywhere!  Is Karaoke - Sing Karaoke, Unlimited Songs yours? Claim it!